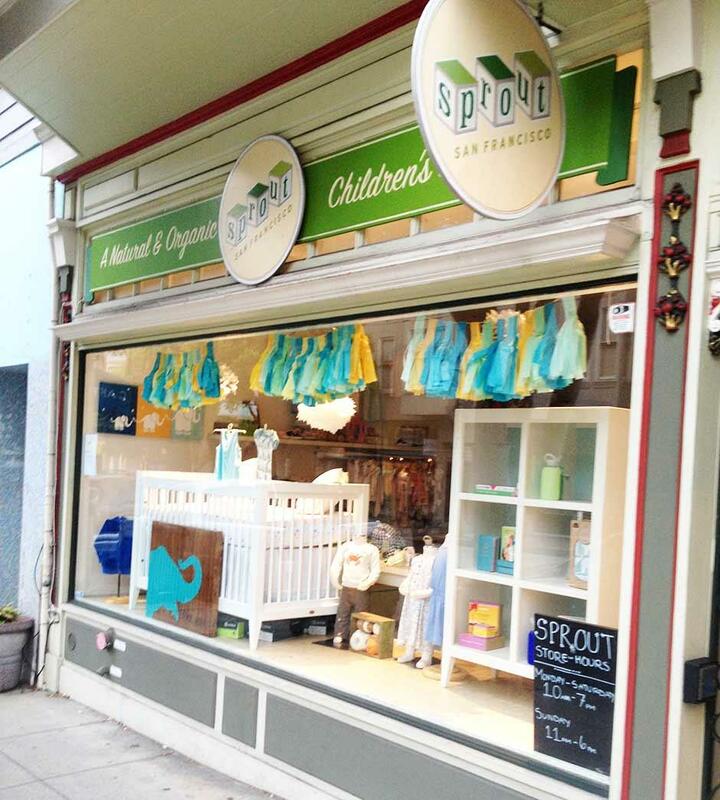 Sprout San Francisco children's boutique in San Franciso Bay Area offer a very clean and beautiful nursing mom friendly area in addition to their shopping space. "The space is beautiful - bright, spacious and organized. There is a large, precious play area for children, and a secluded nursing area in the back of the store near a convenient, private changing and weighing station. They ofter story time for children, yoga and pilates for moms and moms-to-be"